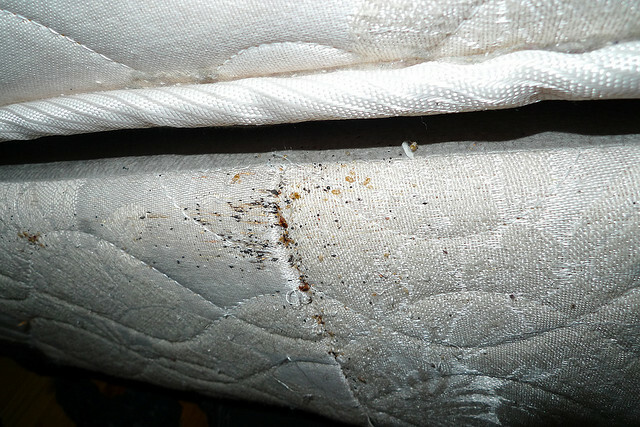 Bed bugs seek out crevices and small openings, like mattress seams. 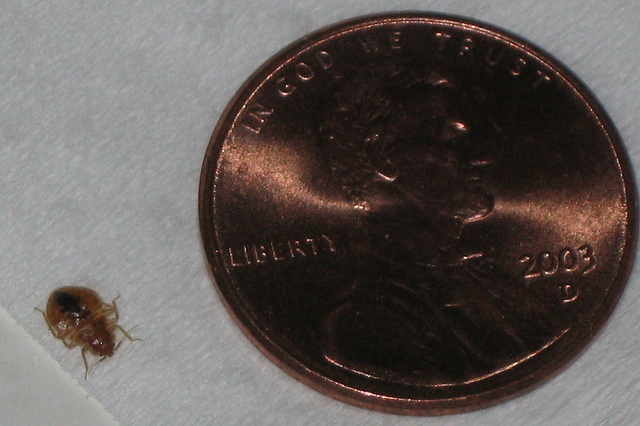 Chicago is now the top city for bed bugs, according to pest control company Orkin. There is no population count for the blood-eating insects, so Chicago’s dubious honor is based on an increase in the number of bed bug treatments local residents have called in Orkin to perform. As worried reports from metro areas around the country make clear, bed bugs are back. Although they are not known to transmit diseases, bed bug bites can cause an allergic reaction leading to itchy red welts. They are notoriously hard to get rid of, and the stress they can cause renters and homeowners is hard to overestimate. Their resurgence over the past 10 years could be seen as a return to normal though, historically speaking. Bed bugs have been around since ancient times, earning mention in medieval European texts and writings from the time of Aristotle. After World War II, however, widespread use of broad-spectrum pesticides like DDT largely stamped out bed bugs in the U.S. Ten years ago Karen Kramer Wilson, then an extension agent in Colorado, said reports of bed bugs were rare, but she would sometimes see infestations of related species known for feeding on bats and birds. DDT was phased out for environmental and toxicological effects, and an increase in international travel revived the U.S. population. Bed bugs like tight quarters — a behavioral response known as thigmotaxis, also seen in earwigs and silverfish. That has served them well, evolutionarily speaking, but it can make them exceedingly hard to oust from an apartment building. Look around mattress tags and seams, behind headboards and anywhere your bed meets the wall. Clutter also makes for good hiding places, so don’t leave luggage or laundry lying on the floor. These are good tips not just at home, Wilson said, but also when traveling. “It’s one of those things that crosses all the socioeconomic barriers,” Wilson said. Pest control specialists have been called in to clear bed bugs from four-star hotels and million-dollar homes, as well as more modest accommodations. How do you know if you’ve found bed bugs? Their flat, oval-shaped bodies are about 3/16 of an inch long and reddish-brown in color. In addition to the actual bugs, you could see rust-colored streaks or small dark splotches on and around your bed. Bed bugs can live for many months without feeding, and can even slow down their metabolism in cold weather to survive cold temperatures. So rather than trying to starve or freeze them out by leaving your apartment, eliminate their hiding places and get encasements for your mattress and box spring. Pest control specialists can also kill existing bugs by steam-heating the air to 120 degrees, which melts the bugs’ waxy coating and dehydrates them. Though it&apos;s not a viable option for long-term pest control, bed bugs do have a rather effective natural predator. Masked hunters (Reduvius personatus) are of the "assassin bug" family of insects. The aptly-named bugs sometimes carry dust on their backs for camouflage while stalking prey, which includes bed bugs. Any heat or pesticide treatments to kill off the pest, however, would also eradicate the masked hunters. So the only long-term solution, Wilson said, is diligence. More bed bug information is available from the University of Kentucky and the Illinois Department of Public Health.